Party Wishes: Helping out a "Sister"
I took Matthew and Sheridan to get their hair cuts today. Just a bit of back to school sprucing up! 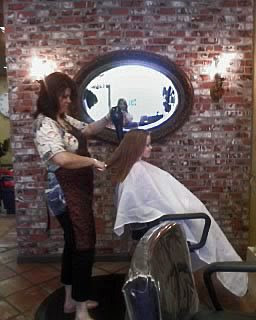 I took them to my stylist, Dawn, at J Sisters Salon in Newhall. One of the stylists there was recently diagnosed with breast cancer. 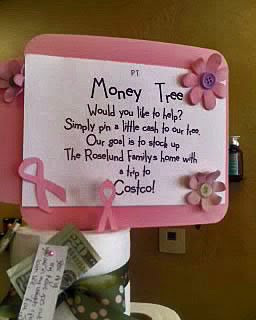 To help ease some of her everyday strife, the owner, Julie, put together a TP Money Tree. She is collecting donations from clients to afford Angela's family a trip to Costco for everyday items. (Julie and Dawn would do the shopping) Their goal is $300. Julie stacked TP and tied it up with ribbon. 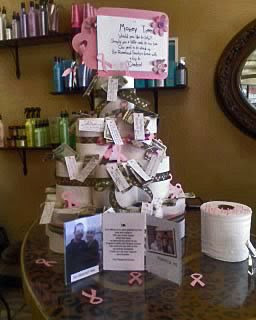 She then put some pink straight pins and pre cut tags in small glasses next to the stacked TP. 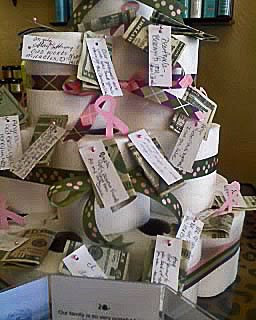 People could write on the tags words of encouragement to Angela and her family and pin it to some paper money and pin it to the rolls. Here is Angela with her family. This is Dawn styling Sheridan's hair. What a great way to lighten the load of a friend! How thoughtful! That is a great idea. Loved that she used tp to make the tree. Everyone can always use tp! I've seen diaper cakes, but never a tp cake. What a wonderful way to help a friend. And by the looks of it she will meet and possible exceed her goal. 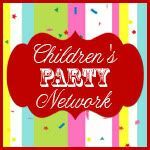 I just saw your Mad Hatter Tea Party on Kara's Party Ideas! What a fabulous party. 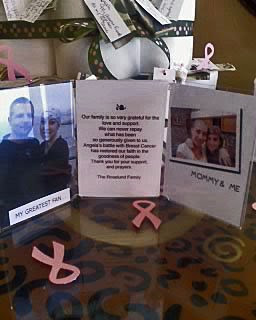 What a sweet idea, very creative and thoughtful.